The jute and green granny square kitchen items were shared in a recent blog here and the towel topper pattern details are here. 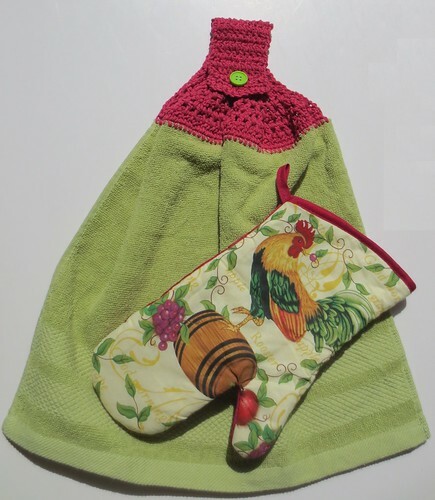 I purchased the oven mitt as it just matched my double layer towel topper so well that I had to add it to my basket items. 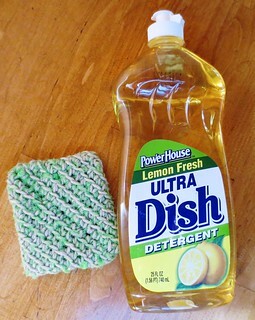 The pot scrubber was crocheted using 4 recycled plastic lettuce nets along with a bit of cotton. I followed the plastic diagonal scrubbie pattern and chained 19 to start for a 4 inch scrubbie. 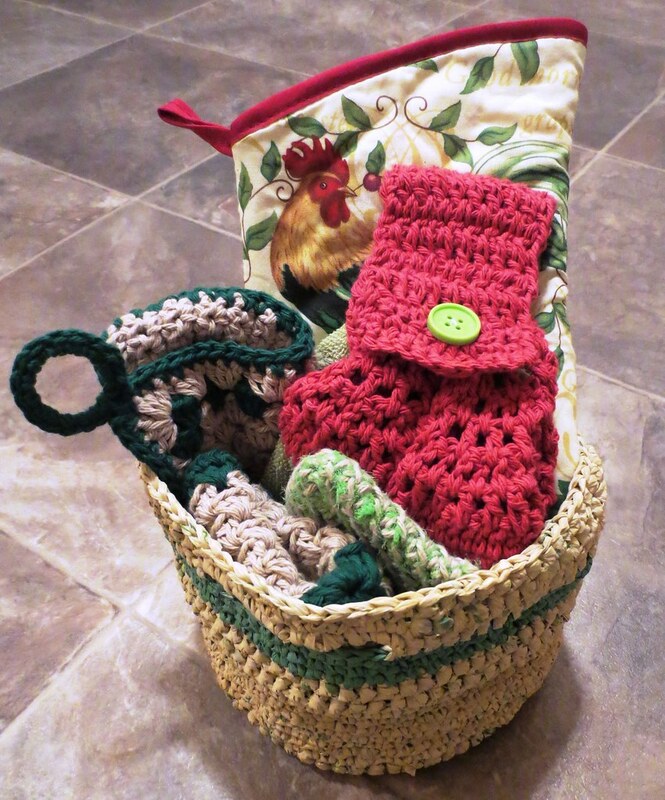 This completes the details on my recycled crocheted basket and kitchen items shown. 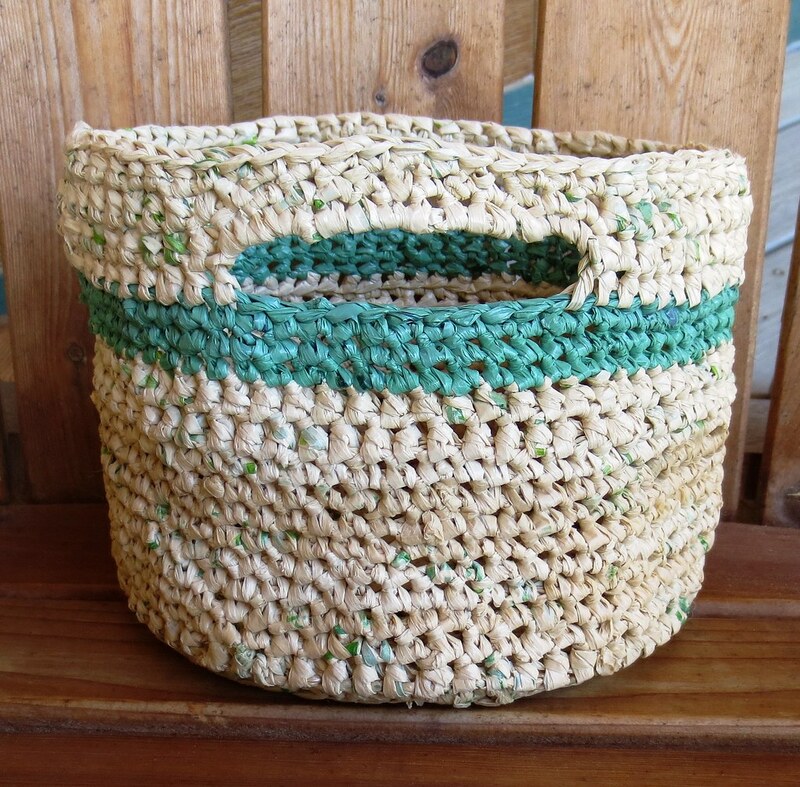 All the patterns used in this post are free and available here at My Recycled Bags. Let me know if you have any questions or if I can help you with any patterns details. Good idea. I love Crocheting. I am searching on net for how to Crochet for beginners.